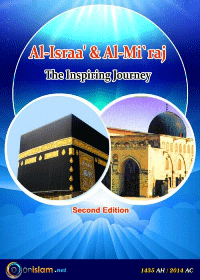 This is the 2nd edition of our successful eBook Al-Israa‘ & Al-Mi`raj: The Inspiring Journey. Surat Al-Israa’. Finally, the aspect of belief in the Unseen is discussed in the last article of the chapter.